It is impossible to imagine cook without the traditional white starched cap. It's a festive decoration. For everyday wear chefs use hats, low hats or even bandanas. Ceremonial headdress chefs are quite high. 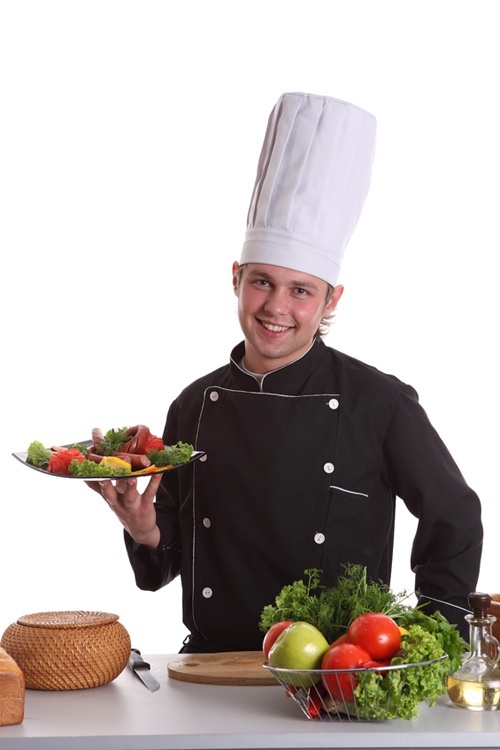 As can be starched chef's hat to look perfect? Before you start nekrahmalistye, the cap needs to be washed to remove stains. It can be done, for example, in this way: apply hydrogen peroxide on the stain and leave headgear in the sun. When the spots disappear, wash the treated area with clean water. Take the required one liter of water amount of starch. To ensure that the cover is quite soft, take one teaspoon of starch. For semi-rigid nekrahmalistye, you need one tablespoon. In order that the cap has become stiff and hard, you need two tablespoons of cornstarch. Prepare a starch solution. In a bowl, it is better to take an enamel or glass, put the starch, add a little cold water and stir until smooth thick cream. Then, with constant stirring, add the remaining water, after its boiled. Another method of preparation of the solution differs from the first in that after pouring boiling water, the solution was boiled for another 3 minutes, until it becomes transparent. Then the solution should cool slightly until it becomes lukewarm. In the prepared solution lower the cap, so that it is soaked with starch evenly. Then remove the headpiece and slightly press. To the cap after drying had the desired shape, it needs to dry, pulling on the right size and shape glass jar. If the Bank can not find work, you can roll a cone out of cardboard and seal it with duct tape. Carefully straighten the hood and let it dry completely. In addition to the traditional method of nekrahmalistye, there are easier ways. For example, sprays. They are sprayed with stuff small size. Divorced starch in the bottle is also designed for spraying, but in the process of Ironing. In addition, you can find a washing powder that gives the effect of linen starched things.